Get the security and simplicity you are looking for with U.S. Cellular Home Phone. 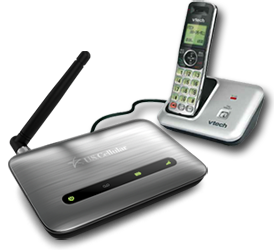 U.S. Cellular® Home Phone is a simple-to-use and affordable alternative for home phone service. U.S. Cellular Home Phone connects to any corded or cordless touchtone telephone. Plus you can keep your existing number. Sign up for U.S. Cellular Home Phone today. What Is U.S. Cellular Home Phone? The Home Phone is portable so you take it with you when you travel or if you move, and your phone number goes with you! Set the device up wherever you need it — whether it's in your home office, at a business meeting or on vacation!